You may be surprised to find out how easy it is to make garden clay into modelling clay, so that instead of the clay being a nuisance to the garden, why not extract some and turn it into a garden pot instead! So first of all, dig down until you find some clay. I was inspired whilst laying a new patio by Blake, when he started asking questions about all the different colours in the ground, so I pulled some out of the wheelbarrow to study. Select a suitable work space, which will be ok to get wet and covered in slimy clay. I chose to use the patio floor, because it doesn't matter if that gets dirty as the rain will wash it clean! Next break off a small piece of clay, and give it a squeeze. Be careful as there may be sharp stones or flint in it which can cut your hands. spray it with some water (or pour some onto the floor) and throw the clay repeatedly onto the floor. As it dries out, add a little more water at a time. This video above was intended to demonstrate the procedure, although Blake held the camera the wrong way, and his attention span isn't all that. (but then he is only 5). Once the clay is nice and pliable, start rolling it out like a snake. Any stones will work themselves out, and as you feel them, just gently pull them out and throw them away. It doesn't take long before you have a lovely smooth piece of clay with a nice even colour. And that is it! I have bagged mine up to play with tomorrow. Now I just need to decide what to make! 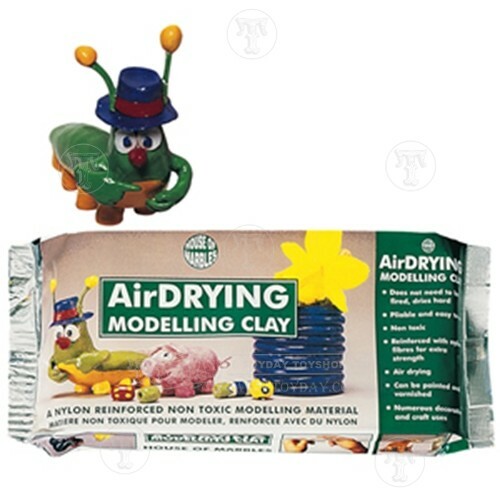 It really doesn't take too long, and it's actaully quite thereputic playing with mud and clay in the garden, but if you don't like to get your hands too messy, you can always buy some modelling clay instead. Have fun, and please share your creations with us on our Toyday facebook fan page.